absolutely nice and helpful community. You are welcome to Tokyo pool(https://pool.rig.tokyo)! 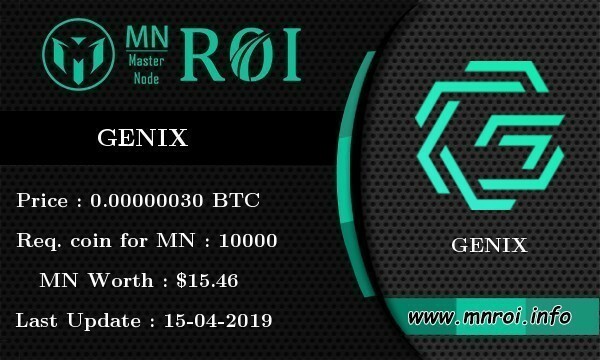 GENIX now available on Cratex.io!! GENIX is live at Altmarkets Exchange! Our community has been growing fast and we thank you all for your support! Very helpful and understanding community. Thanks to everyone who helped make sure the pool was running as intended. Can anyone write how many coins gives 1070 per day? And where can I find out more for a coin? Will it go to other exchanges?